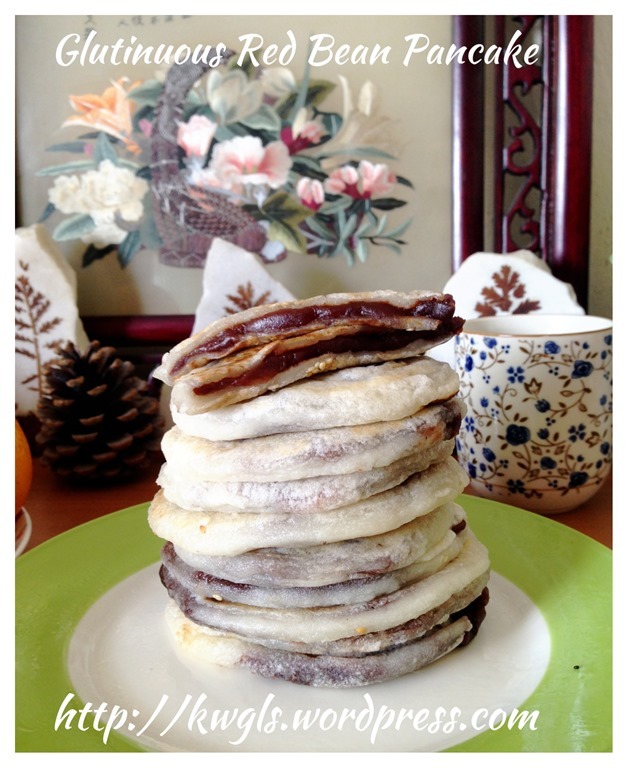 The recipe that I was looking for is the yeasted with plain flour type of crust… But this is the type that is made with glutinous rice flour… Looking at the images, I feel the urge to prepare it since it is easy to prepare and looks delish.. 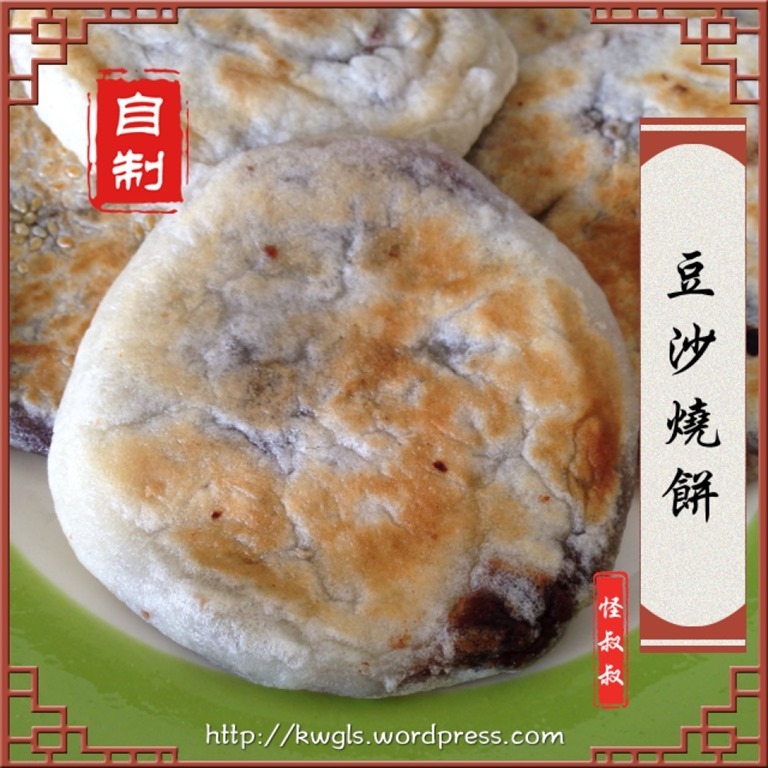 The exterior looks crispy but it is soft because of the use of glutinous rice flour.. 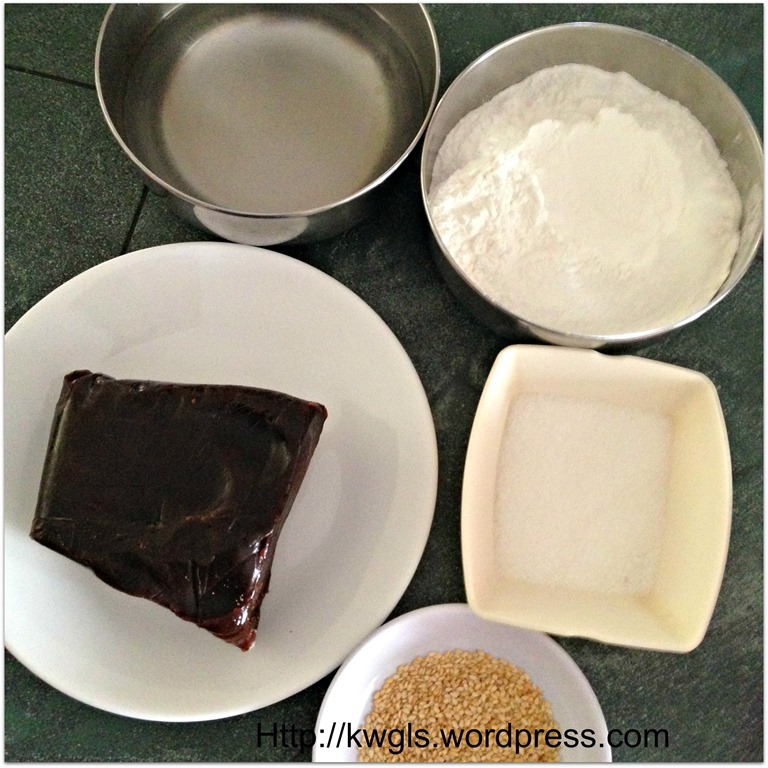 If you have never tried this and are curious about the texture, just imagine that you are having an overnight angku kuih that are pan fried on the next day… but with red bean paste.. 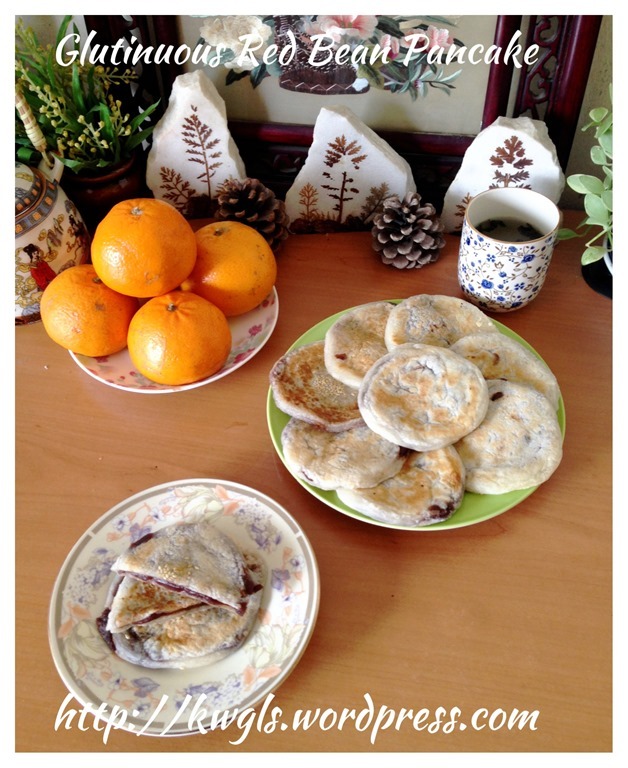 Most grannies do that as a traditional way of heating up the steamed glutinous rice cake. Yes the texture is exactly like the pan fried angku kuih.. 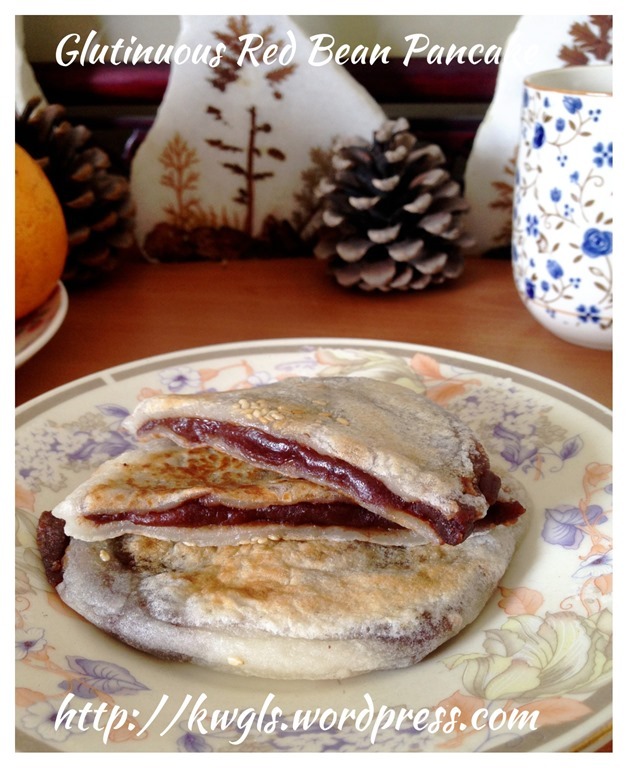 I am pleased with this attempt and the only disappointment is the sweetness of the ready made red bean paste purchased from the store.. As my filling to dough ratio is 1:1 , therefore, it is too sweet overall. For the recipe, I have already toned town the fillings ratio such that it will not be overly sweet.. In a pot, add water, sugar and cooking oil. Bring to boil. 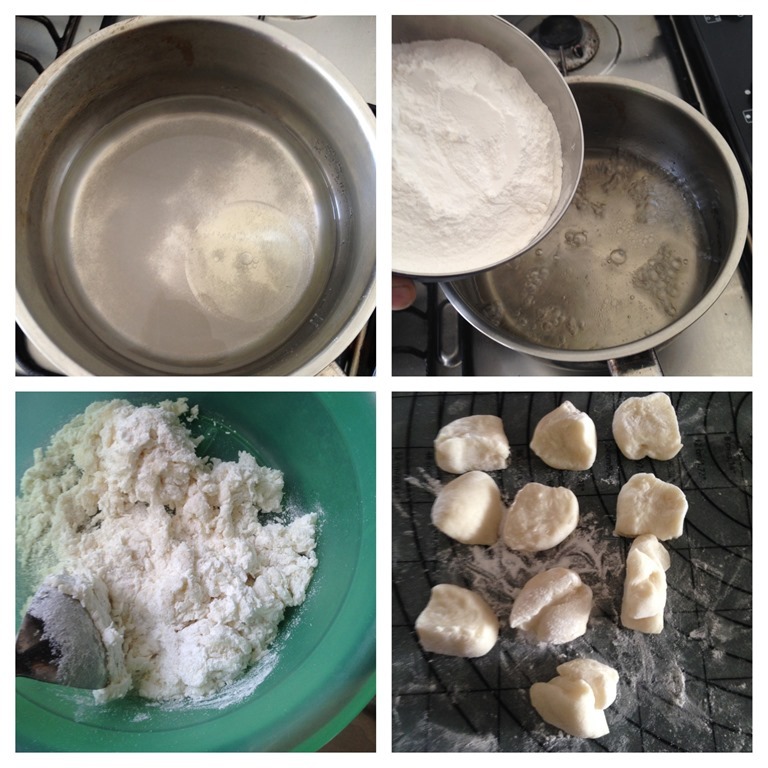 When the water boils, add the glutinous rice flour and rice flour, stir until well mixed. Stir out and knead until it forms a pliable smooth dough. Divide into 10 equal pieces. 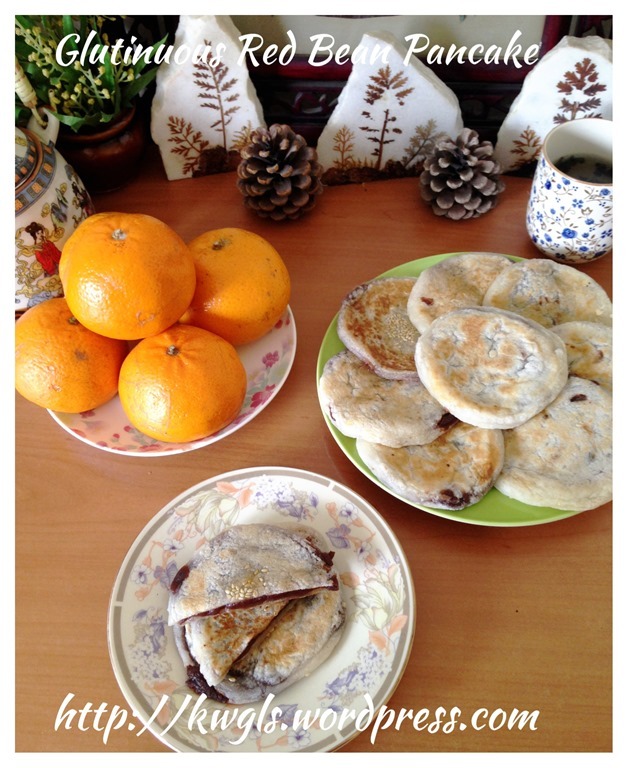 Divide the red bean paste into 10 equal pieces. 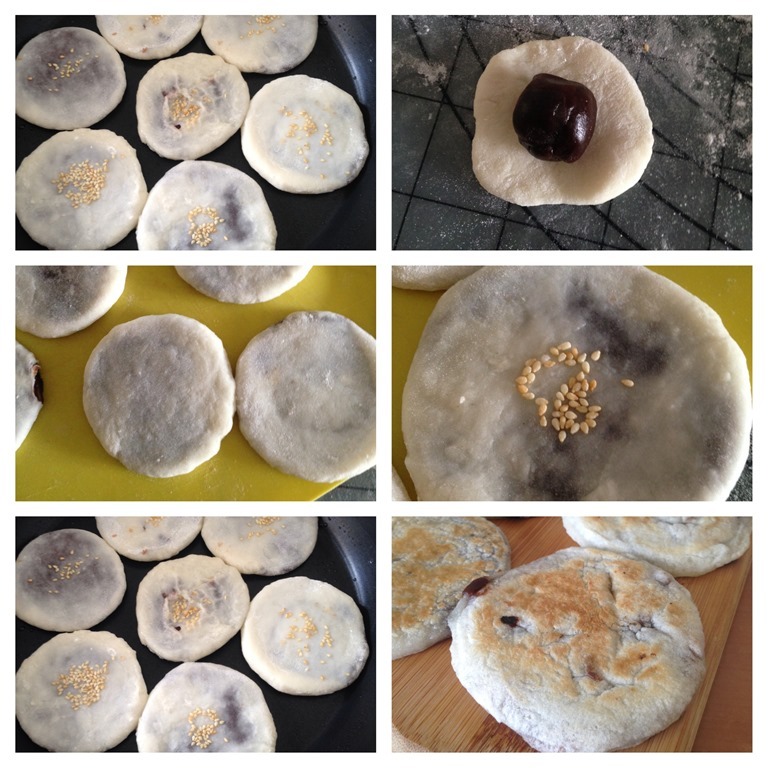 Take a dough, shape round, use hand to press it, put a red bean paste, seal the edges and use a rolling pin to roll it flat with about 1 cm thick. 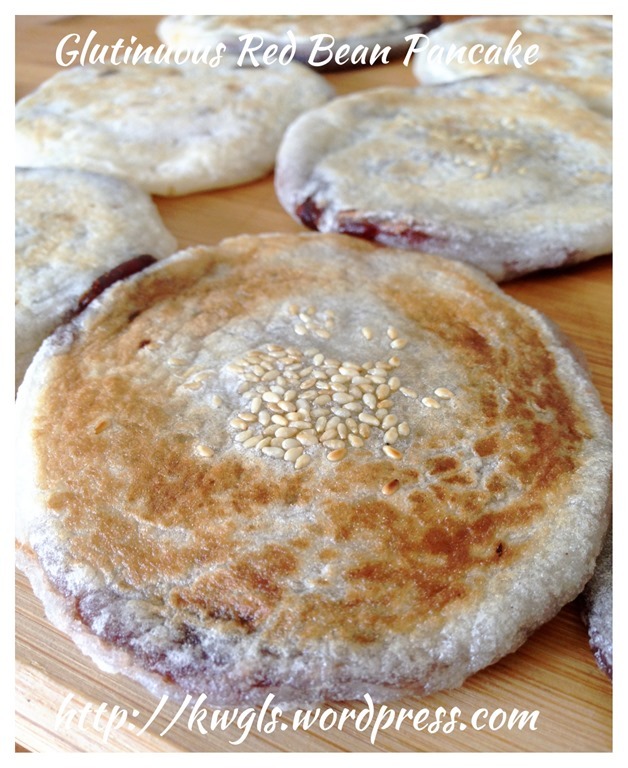 If you prefer, wet the top with a bit of water and sprinkle some sesame seeds on top of the pancake. In a non-stick pan, lightly grease the pan with some cooking oil. 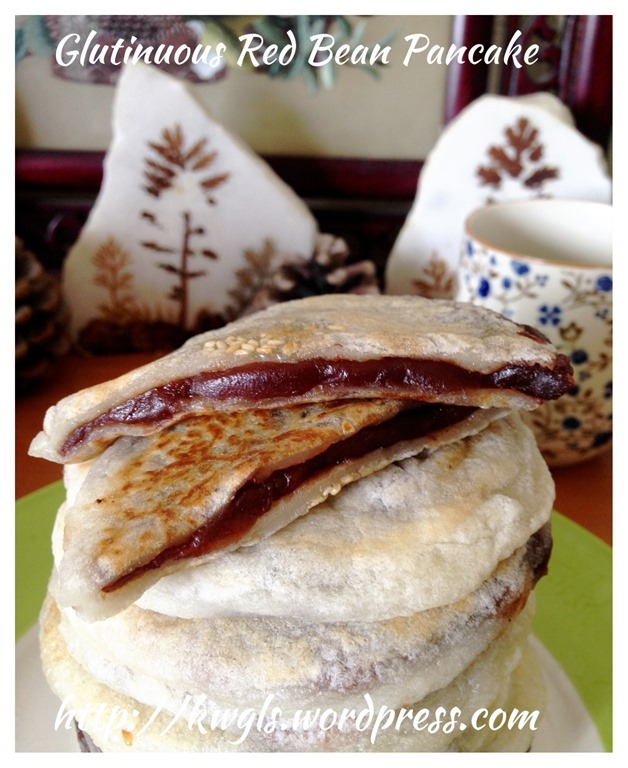 Use medium heat to pan fry the pancake until the side is slightly golden brown. Turn it on the side and pan fry until golden brown. Best served when the pancake is hot. 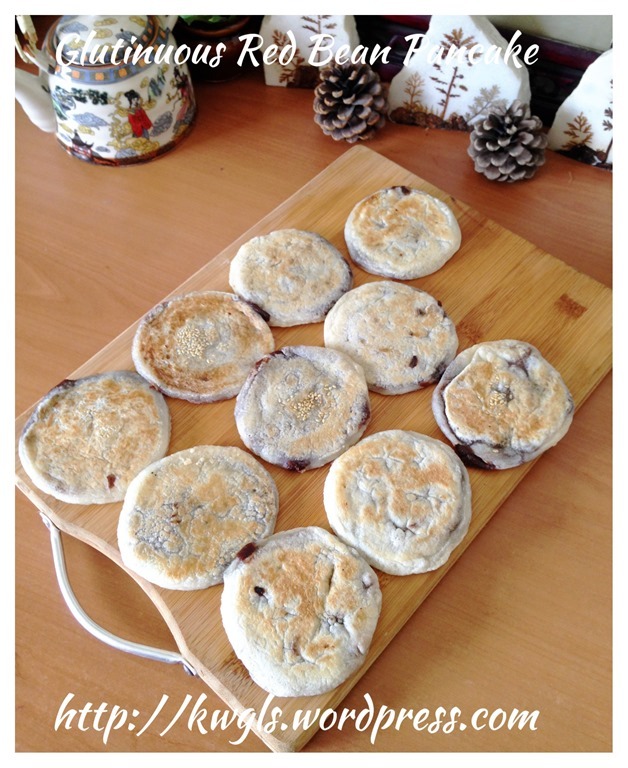 This is a very simple recipe and a rather good item to be served either as snack or breakfast item. Chances or succeed are great. I will continue to search for a relevant recipe with the type of crusts that uses plain flour and yeast. Do give it a try and let me know if this is suitable for you. 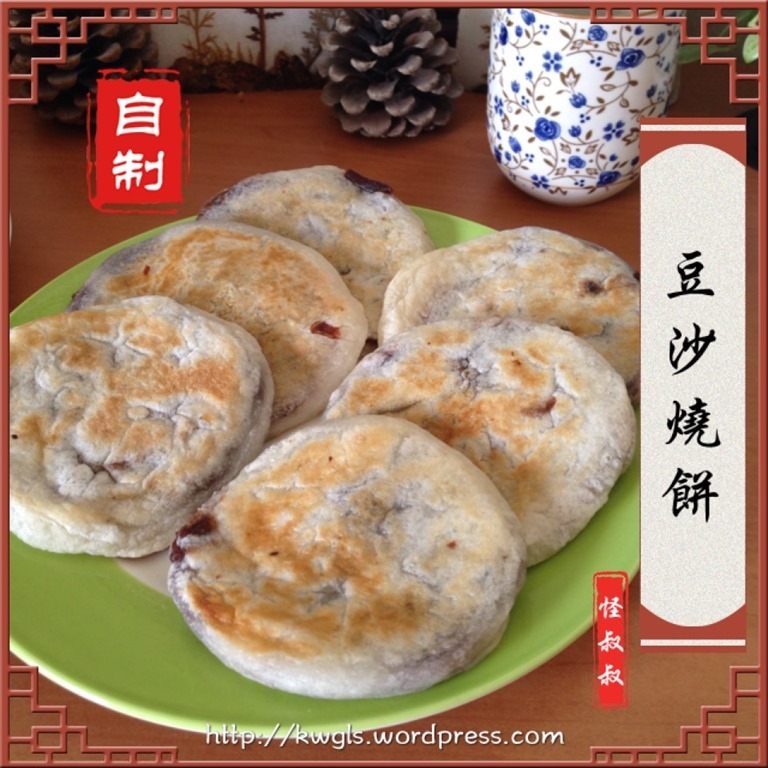 This entry was posted in Chinese and Asian Cakes and Snacks, Food Preparation Series and tagged 烧饼， 8， postaday, 豆沙烧饼， red bean pancake, GUAI SHU SHU, Guaishushu, kenneth goh, shao bing. Bookmark the permalink. 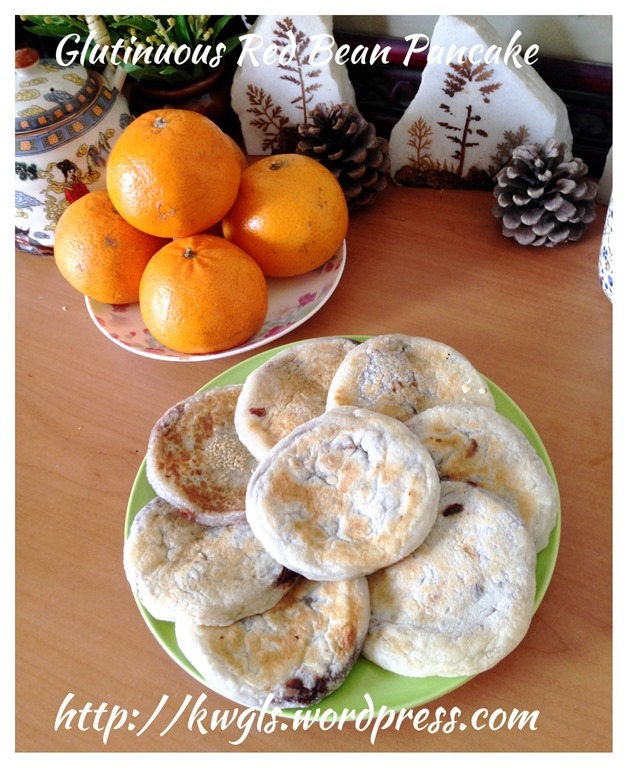 Thanks for sharing so many awesome recipes , yr generosity is much appreciated . Ohh i try but not as good as Sifu’s..i ops out optional item as dont have it….too sticky dough hard to form it…dont know where goes wrong..